Do you remember how much fun you used to have playing those classic arcade game machines? Well, all of our arcade machines are designed to play just like you remember as a kid. 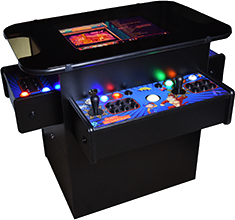 Our multi-game video arcade systems are based on classic machines like: Pac-man, Galaga, and Street Fighter. We only use the best, authentic arcade quality joysticks and buttons on each home arcade for sale on this website. 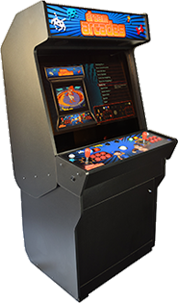 While old arcade machines were typically built with spray paint and particle board, our video arcade machines use Medium Density Fiberboard over melamine, which is more water resistant and also two and a half times stronger. Each multicade arcade for sale on this website is built with only the highest-quality materials available. 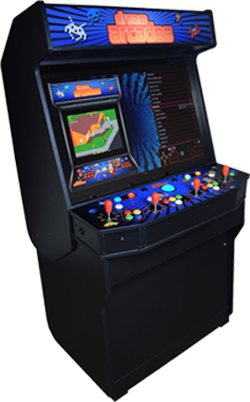 Each home arcade machine for sale on our website features our industry-renowned RetroReload MAME arcade software. 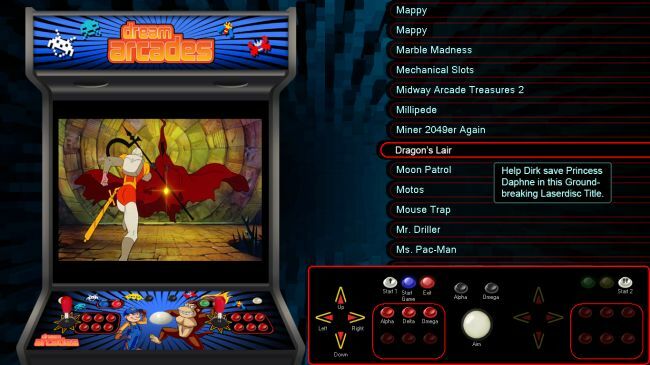 Our exclusive RetroReload software makes finding and adding your favorite games to our video arcade machines a breeze. Simply type in the name of the classic game you are looking for and the arcade game cabinet will search Google for virus free sites to download it from. All you have to do is click on the game you want and our home arcade games machines will automatically download, configure, and add the game to the menu for you. Adding games to your arcade machine has never been easier! 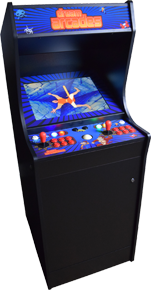 Unlike other arcade builders, we're an arcade machine cabinet manufacturer. 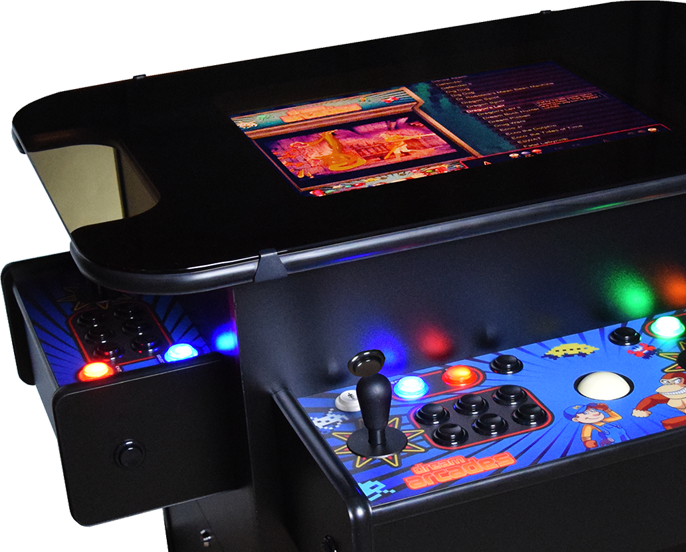 Our multi-game video arcade systems are not built one at a time in someone's shop or garage--Our factory builds hundreds of home arcade game cabinets and tables at a time in an assembly line. This process allows us to focus on quality and craftsmanship while saving hundreds of dollars on all the arcade games machines we build, which we pass directly to you, the customer. The arcade game machines for sale here feature hundreds of classic titles. You'll never find bootleg games in any of the multi-game video arcade systems for sale on this website, as we include only properly licensed titles. 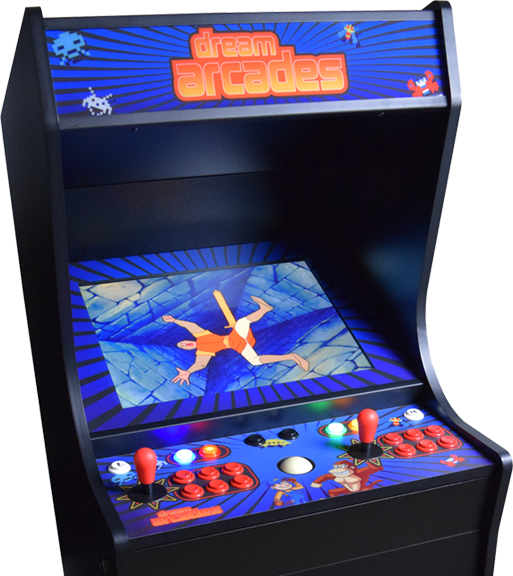 My Dreamcade® was so easy to use that before I even read the manual my kids had already started playing it! Hi there! I received my stand-up arcade system last month and am enjoying it very much. A very solid cabinet! Works great! Mike, thank you for all the help. You guys are really the single best company I have ever dealt with. Rest assured that we will be doing more business in the near future.. Outstanding communication, follow-up and professionalism. I definitely recommend.